Bio Creative Labs has created the answer to skin concerns caused by sun damage and aging. The White Radiance 4-step Brightening System contains powerful ingredients to help target signs of aging, uneven skin tone, and texture. 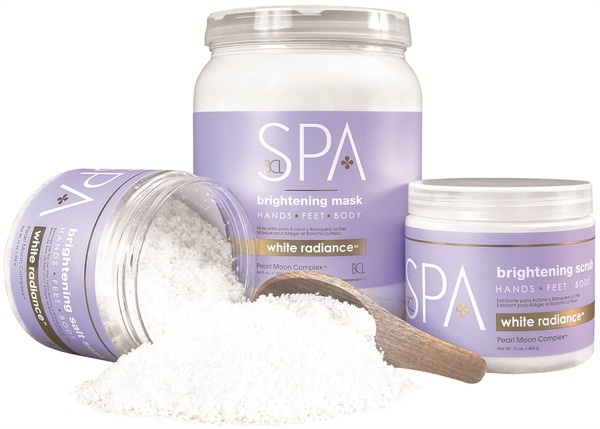 Used during manicures or pedicures, clients will leave feeling as if their skin was kissed by the white pearl moon. For more information, visit Bio Creative Labs .